It’s my great pleasure to announce that Yona Shtern has officially joined ParkWhiz as CEO and I’ve moved to Chairman. Since founding ParkWhiz over ten years ago, it has been my vision to make it easier for people to move about. In bringing that vision to life, we have put smiles on millions of drivers’ faces. From scratch we took an idea, mixed in unrelenting passion and determination, and built something people love. The key ingredient, though, has been the amazingly talented people I have the privilege of working alongside. They have taught and inspired me all along the journey toward making ParkWhiz what it is today, and it has been the greatest joy for me to come to work with them every day. To our customers, strategic partners, investors and employees, I thank you for your support as we continue to iterate and improve. While our vision has come to life, the journey is not complete. 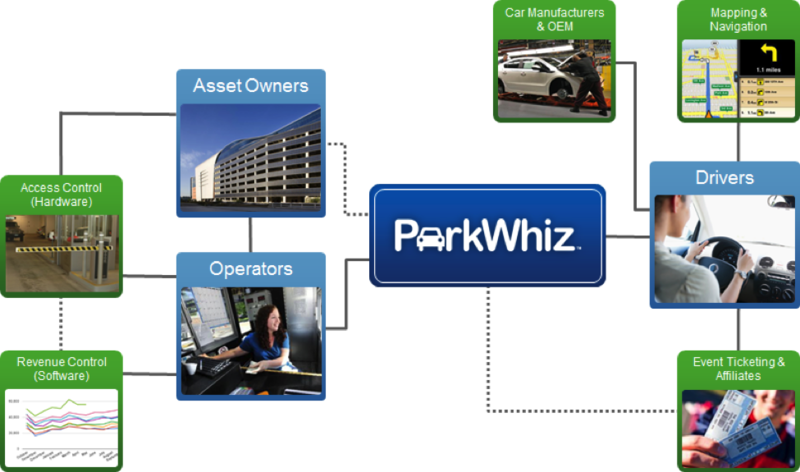 Mobility is rapidly changing, and with connected and autonomous vehicles soon to hit the road, ParkWhiz is just hitting its stride. The Board and I spent a great deal of time searching for the right person to help lead ParkWhiz to the next level. Yona is an experienced leader who believes in what we’ve built, but also recognizes how vast our opportunity is for growth. ParkWhiz has been fortunate to have him on our board, and we’re even more fortunate to have him in the driver’s seat. As Chairman, I’ll continue to be very active, working on shaping our vision and longer term strategic opportunities. I’m thrilled to be working with Yona, our COO Dan Roarty, and the rest of our world-class team as we continue to build a great company that will help shape the transportation ecosystem. Today I’m thrilled to officially welcome Dan Roarty to the ParkWhiz team. Dan joins us to lead our efforts as President of Consumer Brands and Marketplace. We’re on a mission to make parking a seamless experience for every driver, everywhere. At the same time, we’re committed to providing real, sustainable value to our network of operators. With Dan on board, we’re better positioned today than ever before to deliver on these fronts. Dan’s insight into fast-scaling marketplace businesses and proven record of growing consumer brands lets us take advantage of the considerable momentum we’re experiencing now. During his time leading Groupon’s marketplaces and in the leadership team at Orbitz, Dan’s shown tremendous strength in helping fast-growing companies scale. His experience and energy add a lot to the team as we’re on the cusp of enormous growth. As Dan takes the helm of our consumer efforts, Tim Brennan transitions into the role of President of Platform. Tim was instrumental in launching our platform efforts when we kicked off this project nearly two years ago, including running point on major partnerships with Ford and other collaborators in the automotive space. He’s been a strong internal champion of this vision since. The platform division includes our R&D teams and works closely alongside automotive and software partners to build for the dashboards of smarter vehicles. This division also focuses on supporting our API partners to assure that the ParkWhiz experience remains frictionless – wherever the end-user experiences it. We think about parking so much today so that no one will need to think about it tomorrow. Whether ParkWhiz is used on a smartphone or within the dashboard of a car, we want everything about parking – booking, payment, entry – to run in the background of drivers’ lives. Focusing dually on consumer and platform will get us there – and with Dan and Tim leading the charge on both fronts, we’ll get there sooner. The past year has marked incredible momentum for us. Our acquisition of Best Parking positioned us as the most popular parking service in New York City and helped expand our network of locations to 12,000 across the U.S. – with more than a third of those bookable on demand. Our team has grown to 140 of the most talented people working within Chicago and beyond. We also hired Todd Tucker to run our sales and market development efforts. Todd’s considerable experience as a leader within the parking industry helped us build the infrastructure to provide real and sustainable value to the operators in our marketplace. In addition, we’ve signed on even more partners ranging from companies in the automotive space to major consumer brands like Ticketmaster. In short, the last year has been the busiest one yet for ParkWhiz. When I remember where we began ten years ago, before smartphones, certainly before smart cars, it’s crazy to think of how far we’ve already come. We’ve parked more than 6 million cars – helping save countless moments of people’s lives from the frustrations of looking for a space (and saving them a lot of money at the same time). That’s an achievement that I’m very proud of – and it’s only the start. This is the third post in a series about making the leap from entrepreneur to CEO. The full piece originally appeared on Inc. When to focus on long-term planning. There came a point when I needed to delegate day-to-day tasks in order to focus on scaling the business. As CEO, I needed to step back, develop the strategic roadmap for the company and identify new opportunities that would enable the business to grow toward its goals. This is a pivotal mind shift for any entrepreneur. In 2007, the company was a hardware-sensor-based one, and I was trying to pivot it into the business that it is today. After investing endless hours and years into the business, I got caught up in the tactical day-to-day grind. When I finally looked up, I realized the vision I set out to achieve was unlikely to be realized, and I knew we had to make a difficult choice to push on or pivot. While my heart was in the former business, my brain told me we needed to shift hard to the model we are today. That was a difficult moment for me to reconcile, but knew it had to be done. Look for support outside your company, through your family. This was the most important lesson for me. I was fortunate enough to have a supportive wife who allowed me to follow my dream – it also helped that she was a lawyer and CPA and could offer pro-bono guidance. Young entrepreneurs should have serious conversations with their families about what their commitment will be. Even if their spouse, parents, siblings or friends don’t formally have a position at your company, their support could mean the difference between building a thriving business – or letting a dream fall by the wayside. Jumping to CEO has been one of the most rewarding experiences, allowing me to push business further than I could ever imagine. However, just remember to let go – it may be difficult at first, but it helps reveal the full potential that any company has in its industry. This is the second post in a series about making the leap from entrepreneur to CEO. Read part one here. The full piece originally appeared on Inc. When to pay yourself and bring on staff. I waited four-and-a-half years to give myself a salary. During that time, I worked long hours from home building the company, doing everything from administrative work, sales, marketing and more. In addition to figuring out when it was appropriate to pay myself, I was hesitant about bringing on staff, knowing no matter how exceptional a candidate was, they would never have the same stake in the business as I did. But hiring new talent was imperative, and the natural next step in the company. To that end, entrepreneurs must learn to set expectations with their first employees and be realistic with what they can offer in the early years of the business. Don’t ignore the little guys. After launching the company, I started working with smaller parking operators, educating them on the product and explaining how it would make operators money. Once this sector of the market understood the product and saw the benefits, I felt comfortable approaching the mid-sized and larger players. This approach can help build the successful foundation of any venture and gives the necessary “wins” to tackle those higher-level goals. Stay tuned for the final post in the series, where I reveal two additional insights gained as I’ve grown ParkWhiz. This is the first post in a series about making the leap from entrepreneur to CEO. The full piece originally appeared on Inc.
My biggest challenge was letting go. When I launched ParkWhiz in 2006, I was used to completing tasks on my own and doing things a certain way, from reporting financials to servicing accounts. As the business began to scale and we brought on employees, I quickly realized I had to let go of the notion that everything would be done exactly the way I wanted it, every time. Not only was that inefficient, but it was demoralizing to employees if I couldn’t trust and empower them to find their way. So I made a vow to let go of the tasks I once owned and began mastering delegation while maintaining the high standards I had set. And, yes, I even slept better at night knowing the burden was no longer fully mine to own and execute. Transitioning from entrepreneur to CEO is a difficult shift. After all, conceiving a company is in an entrepreneur’s blood, and not all feel comfortable leaving behind the excitement of launching a company of their own to take on a role that involves more red tape and general process. While many technology startup founders can grow bored after their business goes from dream to reality, I stayed on and continued leading as CEO, but if an entrepreneur can’t let go, the business won’t grow. Aside from letting go, there were four key lessons I learned on the path from entrepreneur to CEO. Stay tuned for two following blog posts discussing this critical insight for aspiring CEOs. In the meantime, what are difficult lessons you’ve learned during your career? Tweet them to me @theaashishdalal or leave a comment below. 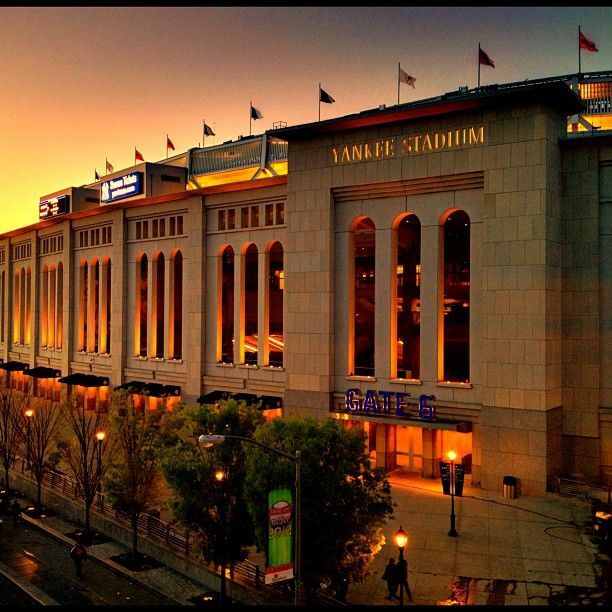 As the New York Yankees gear up to celebrate notable alumni this weekend (it will be Tino Martinez Day on Saturday and both Old Timer’s Day and Goose Gossage Day on Sunday,) fans driving to the games will find relatively cheap parking available for both days. Select garages around Yankee Stadium have rates for as low as $8, which will be less than much of the food and beverage inside the stadium. Despite several deals in surrounding garages, however, both Saturday and Sunday’s day games vs the Orioles will see an average ticket price above the Yankees’ seasonal average of $144.06. So while you may be able to save on parking, fans looking to attend the game should expect to pay a premium. The ceremonies will begin Saturday afternoon when the Yankees honor Tino Martinez, an integral part of the team’s mid-90’s and early-2000’s success. Though Martinez did not post Hall of Fame credentials during his playing years, his importance to the Yankees during his seven years in the Bronx will be celebrated on Saturday as he will be memorialized with a plaque in Monument Park beyond the center field fence of Yankee Stadium. Yankees tickets for Saturday’s game will have an average price of $185.37, 28.7% above their season average. If you’re looking for parking, there’s several affordable options not too far from the stadium. According to ParkWhiz.com, Select Garages, which is located conveniently across from the Yankee Stadium at 70 E. 162 St., currently charges $35 for game day parking. Fans utilizing this lot can also park for up to an hour before and after the game. MPG Parking, which is .26 miles away from the park at 171 E. 165 St., has a parking price of just $20 for Saturday’s game. MPG Parking also has the cheapest lot in close proximity to the stadium, with parking available for only $8 on 302 W. 144th Street, .89 miles away. Sunday’s game will see the likes of Yogi Berra, Goose Gossage, Joe Torre, Rickey Henderson and several other Yankee greats in attendance for both Goose Gossage Day and Old Timer’s Day. The average price for Yankees tickets is $147.53, 2.4% above season average, with a get-in price of $27. Once again, the cheapest parking for Sunday’s game will be found at MPG Parking with the same low rate of $8. Yankee fans will flock to the House that Ruth Built this weekend as some of the best players to ever wear pinstripes return to celebrate their famed careers. While Yankees tickets run a little pricier than average on the secondary market, fans driving to the game will find several deals on parking through ParkWhiz.com. Whether driving or taking the train to the game this weekend, fans of all ages won’t want to miss the Yankees honor their living legends at Yankee Stadium. From self-driving vehicles to the rate of urbanization to the buzz of the car-sharing economy, it’s easy to surmise the death of parking. Yes, vehicle ownership is down and yes, the millennial generation values technology over cars. But the death of parking? Not quite. According to new analysis by Frost & Sullivan, the $100 billion worldwide parking industry is expected to attract institutional and strategic investments to the tune of $200-$250 million over the next 3–5 years, mostly to spur innovation and smarter parking. One big reason for this infusion of capital is to improve the inefficiencies in the ways that we currently park, per recent findings. For example, a 2011 study by Cisco revealed that just within the U.S., the total cost of personal transportation amounts to $3 trillion per year. Parking represented a staggering 12.5 percent of this total, or $374 billion. (This includes the actual cost to park and associated inefficiencies, such as the urban traffic created by people looking for parking). With numbers this large, it’s not surprising that automotive OEMs increasingly view parking as an important service that needs to be integrated within the vehicle’s telematics system to streamline efficiencies. So why has the parking industry taken so long to innovate? Until recently, parking and innovation have mixed like water and oil. This is largely due to the slow-changing nature of the two-headed parking industry, which is comprised of both on-street and off-street parking. On-street parking (i.e. parking meters), which represents about one-third of all parking-related revenue in the US, is typically controlled by cities and municipalities (see Figure 1). These folks are not the fastest moving when it comes to initiating technical change, and while there has been progress within the realm of mobile payments at meters, truly scalable, innovative parking availability projects that help drivers find spots when they need them are few and far between. Off-street parking (i.e. garages and surface lots), which represents about two-thirds of all parking-related revenue in the US, is largely owned by private enterprise and therefore, theoretically, should be faster moving when it comes to innovation. But even this segment of parking has been slow to change, mostly because 1) off-street parking is a multi-layered ecosystem with many different players and 2) consumers typically delay parking purchasing decisions, usually looking for parking after they reach their destination. In the US, there are more than 40,000 garages and surface parking lots. The owners of these properties range from commercial real estate developers to REITs and even some cities. 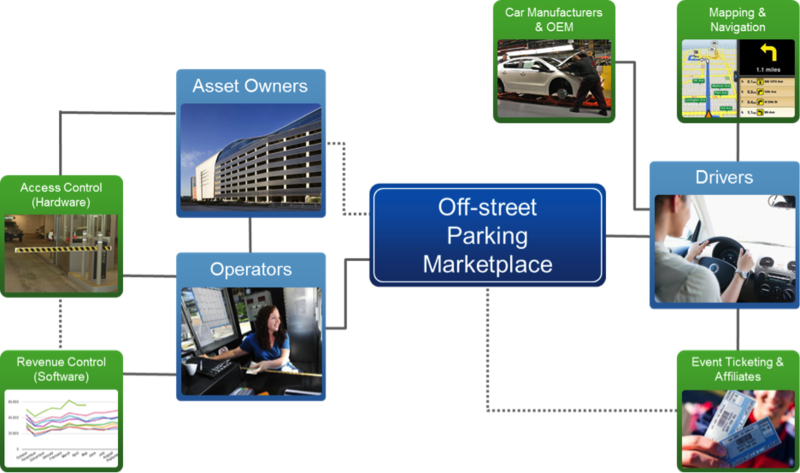 Most of these asset owners rely on parking operators and equipment providers (that provide access and revenue control solutions) to manage their properties and maximize parking revenue. The result is a web of gatekeepers that control the parking supply regionally and often have conflicting objectives (even in regards to the very asset owners that they represent). In this environment, entrepreneurs attempting to put forth elegant solutions to disrupt parking are required to create harmony with each sell-side entity, which is no easy task (see Figure 2). Consumer behavior is another reason that the parking industry has not yet tipped. According to a 2011 IBM survey, drivers globally spend an average of nearly 20 minutes per trip in pursuit of a parking space. Despite this colossal waste of time, the concept of pre-booking parking prior to arriving at a destination is still nascent. Most people continue to drive around searching for a spot, either on-street or off-street, typically unaware of what parking inventory is available to them (see Figure 3). In a perfect world, they would not only know what spots are available at any given time, but also be able to compare the price, location and amenities of those available spots, to find the one that suits them best. Parking is an inherently transient activity in which the majority of drivers don’t think about parking until they’re in their vehicles headed to their destinations. However, there are a few types of parking that do seem to have tipped with regards to pre-planning and pre-booking. One is “event parking”, or securing a space that is tied to a particular pre-planned activity with a known start and end time, like a sporting event or theater performance. This type of parking activity now happens whether the parking space is at the actual venue itself, or simply nearby. Another type is “airport parking,” an instance when a driver also fully knows the parameters of his or her parking duration. These types of pre-booked parking events make sense for the driver, who gets cost certainty and the benefit of guaranteeing a parking space amid a potentially stressful trip (nobody wants to miss a flight or the first quarter of an NFL game looking for parking). But they also make sense for event parking operators, many of whom open solely to supply parking for those events. These suppliers can premium price their guaranteed spots (it can cost up to $100 to park near Cowboys Stadium for a home game!) and improve their asset utilization without interfering with any regular drive-up customers. Historically, daily and monthly off-street parking, which make up nearly half of all parking revenue in the US, have been left out of the pre-booking game. However, this type of parking transaction is becoming a much larger part of the online marketplace, with the growth of smartphone usage. 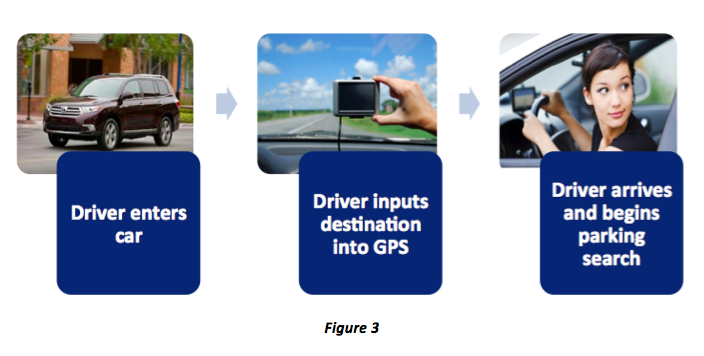 Drivers may still not be thinking about parking before embarking on their trip (although even this is changing as the benefits of pre-booked parking permeates), but their mobile devices can now provide off-street parking inventory availability and pricing to them in real-time as they reach their destinations. The expansion of transient parking within the online marketplace will likely continue as more everyday off-street garages (and their complex pricing tables) come online. Another factor that should aid expansion of this type of pre-booking is the ability for the garages to accept mobile parking passes, the kinds that live on your smartphone until you arrive at the garage, and open the access control gate. And of course, the promise of a “connected car,” which makes these kinds of parking decisions for you – purchasing optimally and entering and exiting you from the garage without any friction, should expand this marketplace even further. Experts believe we’ll see those types of cars beginning with some 2015 models. So, who is leading the e-parking revolution? Currently, there are only a handful of companies that operate an online marketplace in the parking space. The story of ParkWhiz, which I co-founded in 2006 (see Figure 4), is a bit unique, especially for marketplaces, as it was bootstrapped for 5 years before raising its first round of capital in 2012. In the early days, ParkWhiz focused on event parking, and was able to build its business by signing parking locations around major venues and getting distribution through ticket sellers like StubHub and TicketsNow. Now, however, the Company is seeing the most growth from daily transient parking events (like downtown Chicago parking or NYC parking), a trend enabled by increased mobile usage, but also by its nationwide footprint and its integrations with the world’s largest access control and revenue management equipment providers. These things have made frictionless parking a reality (see video) and we expect the experience to get even better over time. Of course, ParkWhiz is not alone in its quest to disrupt off-street parking, facing direct competition in a few of its target markets from SpotHero and Parking Panda. There are also several companies focused on data aggregation, creating a comprehensive database of facilities that include facility hours of operation, rate structures, entry and exit points, etc. These companies include Best Parking, ParkMe, and Parkopedia. Lastly, there are a handful of companies focused on solving on-street parking. Cities have long searched for solutions that not only reduce traffic congestion, but create better enforcement of parking meters. Some of the hurdles facing companies in this space are the long sales cycles, financial shortfalls facing cities, and competing political agendas. Creating the “right” on-street parking solution may require a significant capital investment to support the infrastructure and sales process to successfully integrate at scale. Despite this challenge, several companies have surfaced as potential disruptors including Streetline Networks, QuickPay and Parkmobile. What is the future of parking? The future of parking appears bright. Just a few years ago, the theme at tradeshows focused on proper lighting and garage liability. Today, the themes revolve around innovation and technology. In fact, if you attended the most recent National Parking Association tradeshow this past October in Chicago, you couldn’t walk more than a few feet without hearing buzzwords like “big data” or “the Uber for parking.” To top it off, the keynote speech was delivered by Cisco and the subject was “The Internet of Things: Parking the Next Killer App.” Attendees included the likes of Google, Nokia, SAP, Ford, and Verizon. While some may argue parking lots are “destroying a city’s soul,” parking plays an integral role in the overall transportation ecosystem and will continue to do so, even as the automotive industry undergoes a paradigm shift. Over the next few years, parking too will undergo a shift that will be a tipping point for the industry. Some of the changes we may see include a single source solution that combines off-street and on-street parking availability at the time you need it. Or it may include urban mobility solutions that will focus on getting consumers from point A to point B to point C, whether that involves taking a car, public transit, biking, or walking. Parking facilities will also integrate relatively low-cost technology solutions to streamline and better the customer experience through the smartphone and the connected car. Lastly, demand-based pricing will become a tenet to parking, maximizing revenue by matching driver to the right space at the right time at the right facility. So is parking dead? Far from it. It’s just getting started. Looking for things to do to pass time during the NYC winter? Manhattan’s South Street Seaport, adjacent to the Financial District, exemplifies America’s history of maritime trade, while incorporating modern dining and shopping experiences. Not down with 19th Century culture? The Howard Hughes Corporation unveiled a new winter program jam packed with live entertainment, including an ice rink open 7 days a week till March 2nd. Admission is $10 and children 5 and under are free. For those who are looking to rock out to keep warm, South Street Seaport’s new program is bringing in the areas hottest bands to perform free concerts. Tickets are free, but need to be reserved on the South Street Seaport’s website. Entry age for each concert is 21+ unless otherwise noted. 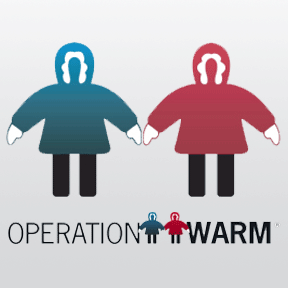 The Howard Hughes Corporation is working with Operation Warm to provide winter coats for children. We here at ParkWhiz believe it’s important to give back to the communities where we live and work. So, through the month of February, we will donate 10% of all our proceeds from South Street Seaport parking to Operation Warm. ParkWhiz makes it easy to find and book South Street Seaport parking; select what date and time you need parking on either our website or iOS and Android apps and book your desired parking location. 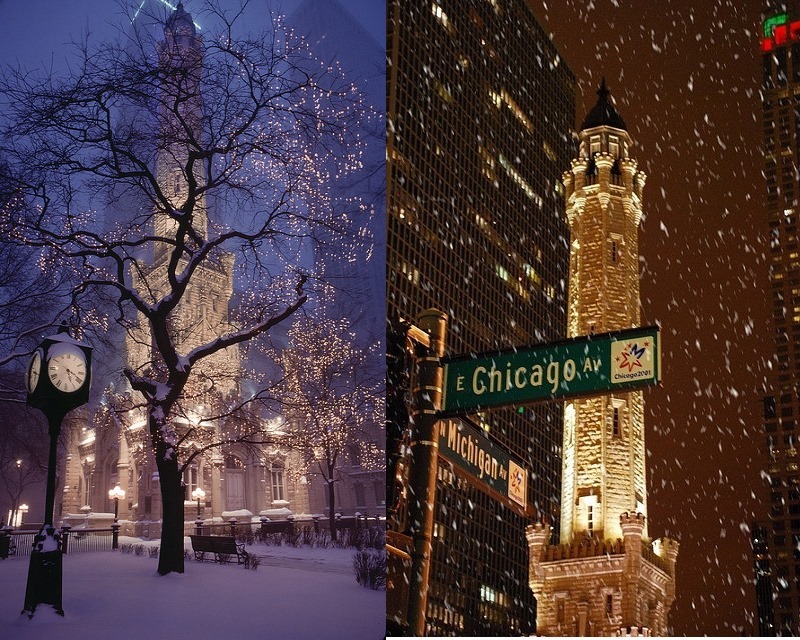 December in Chicago. The city is draped in lights, holiday music rings from every corner, and every store beckons with deals. There’s no shortage of options for feasting and shopping (and ways to run up those credit card bills). There’s also a ton of holiday events happening around the city, and many are free! Here’s a list of free events in December to enhance your holiday spirit without depleting your wallet. Zoo Lights at Lincoln Park – Certain dates in Dec. (check schedule). Beautiful luminous displays throughout the zoo grounds. Totally family-friendly and free! Christkindlmarket on Daley Plaza – Nov. 26 – Dec. 24. – Traditional German American Holiday Market – Outdoors – dress warm! Winter Flower & Train Show at Lincoln Park Conservatory – Hundred of different colored poinsettias and model trains. Free and warm! New Year’s Eve Fireworks at Navy Pier – Dec. 31 at midnight! Free museum days in December! (Bonus warmth involved here!) Check out amazing Chicago museums for free on noted days. *Usually you must be an Illinois resident, so please check individual museum policies. Chicago Children’s Museum at Navy Pier -Dec. 5, 12, 19, 26 from 5-8 p.m.
Art Institute of Chicago – Dec. 5, 12, 19, 26 from 5-8 p.m. If you are taking the train to visit these free events, it might be worth checking the schedule for the CTA Holiday Train. If you are cabbing it, Uber might make that more convenient. If you are driving, ParkWhiz is the way to go; book parking before you get there, save time and money. Share these events with friends and family and create new holiday traditions together throughout December. All for free!